If you want to customise your reports a little more than just adding your logo, InventoryBase provides a lot of options and allows you to customise your notes, disclaimers, declaration and terms and conditions. Just click on Settings on the main menu at the top, and click on the Reports tab. Scroll down through the various options and you'll come to your Notes and Disclaimers section where you can paste in your own. 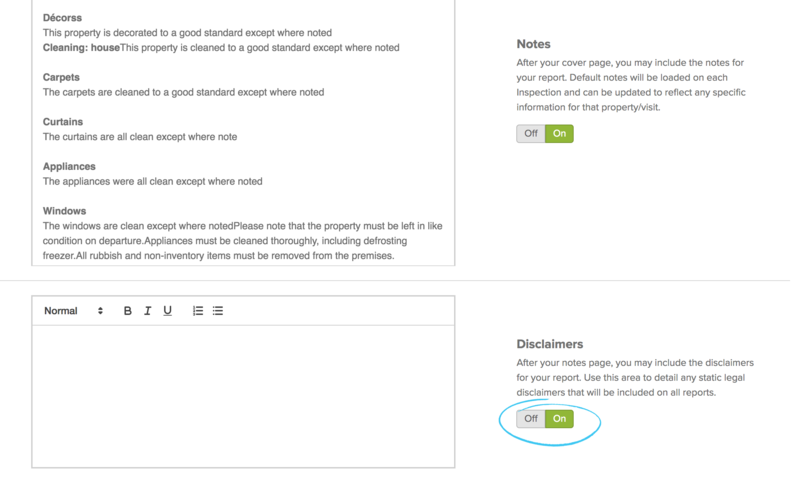 To disable any of these pages from appearing in your reports, just switch the toggle on the right to Off. 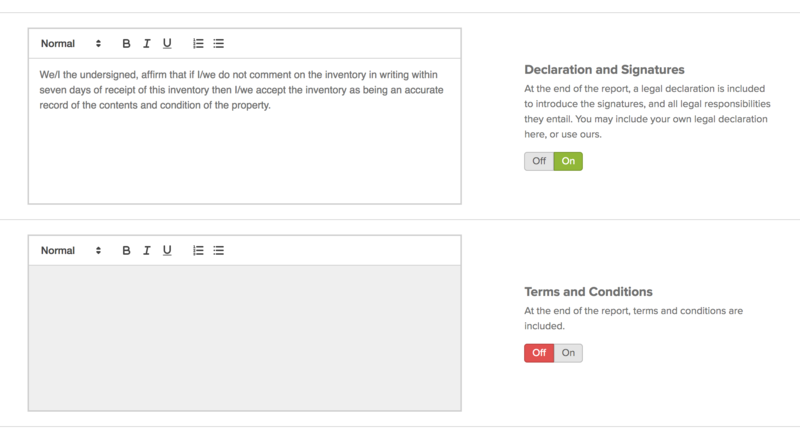 Scroll a little further to modify your default declaration which appears with the signatures section. Note: Premium accounts can modify report settings on a per-inspection-type basis, contact support if you need this facility.